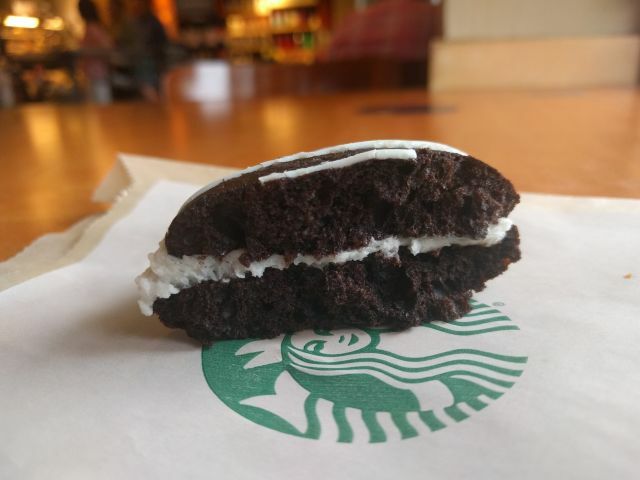 Starbucks' Vanilla Bean Whoopie Pie features two chocolate cakes with a layer of vanilla bean cream filling between them. The cake sandwich is then topped with a white chocolaty drizzle and some sprinkles. I bought one for $2.45. 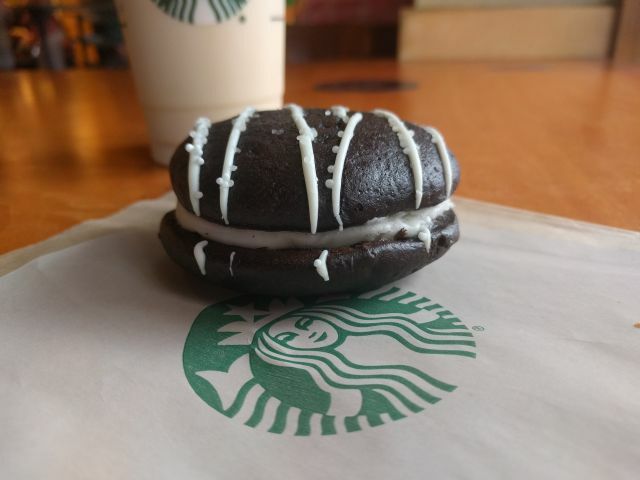 The Whoopie Pie turned out to be bigger than I thought it would be (I figured it'd be Oreo Cakester-sized because they used to be) but it was actually the width of a decent-sized cookie (bigger than a Chips Ahoy but not quite so big as a Grandma's cookie). The cake was moderately chocolaty and decently moist. It was somewhat firmer than your typical cake but not so much as a brownie. The filling offered a nice note of vanilla to go with a sweet creaminess. Thankfully, the cake was less sweetened to balance it out. The cream had a tendency to push out the sides as I ate. The white chocolaty drizzle and spherical sprinkles didn't contribute much in the taste department but managed to add a contrasting light crunch. 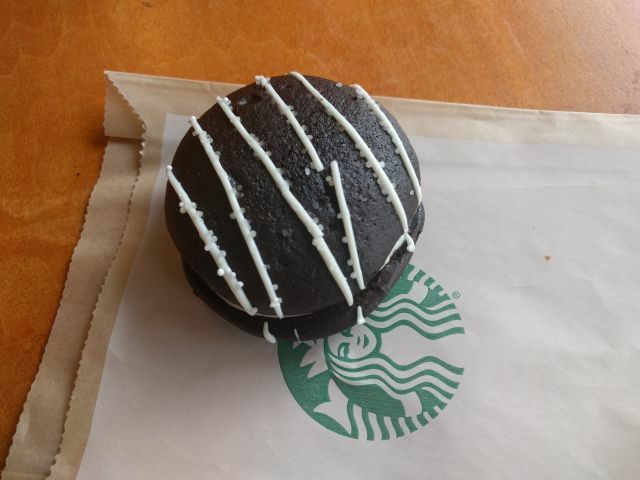 Overall, Starbucks' Vanilla Bean Whoopie Pie was quite enjoyable. The cake and cream were well-balance and complemented each other well.